The year 1805, which is punctuated by the English naval victory at Trafalgar, is one of the darkest moments of England during the Napoleonic Wars. 1805: Sea of Glory traces the naval warfare at the operational level during this pivotal year. Although Trafalgar shines through history as the flagship of the victory, the blockade of enemy ports that prevent successful French boats embark on British soil. 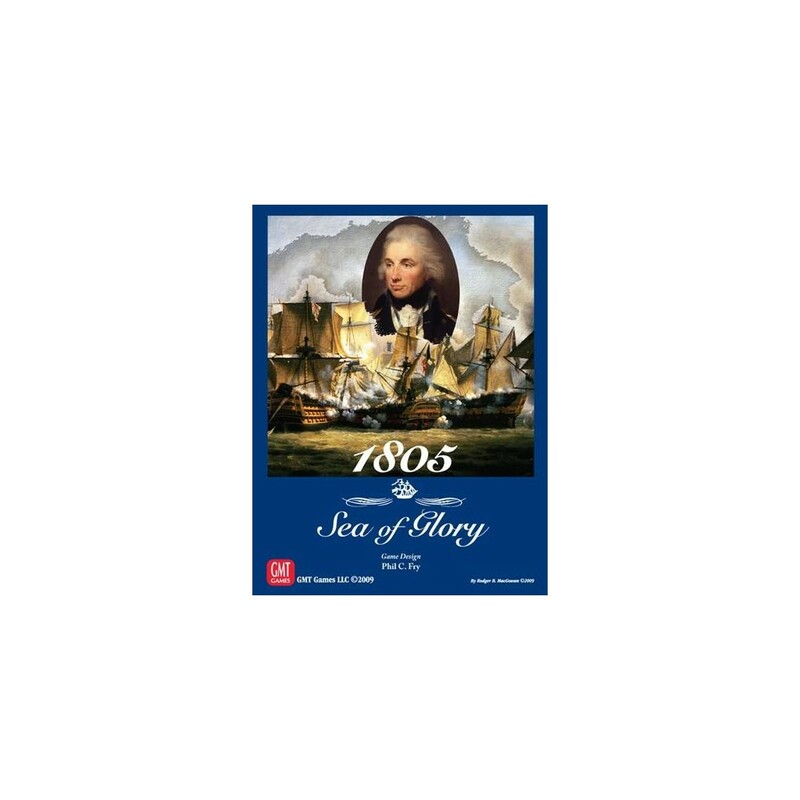 But 1805: Sea of Glory is more than just a game on the blockade. This is a set of breakthrough and pursuit, deception and false leads, management of scarce resources, surprise attacks, and decisive battles that determine victory or defeat. 1805: Sea of Glory focuses on the operational activities of the three major marine. The Allied player (France and Spain), must constantly strive to break the blockade of European ports to form a combined fleet. The British player must constantly worry about his ships, wind and weather conditions allow the enemy an opening to break the blockade. The British player will discover that he never has enough frigates to cover all escape routes, and a clever French player can finally win this game of cat and mouse. The game uses blocks to represent the fog of war. The ability to detect and intercept your enemy is paramount. Is it time to try one out? The enemy force was slightly larger on the horizon? While blocks represent fleets, squadrons, or recognition of the frigates, traditional counters represent individual ships of the line.